The month of August saw us give away two Botox Treatments in our Facebook competition. One of the winners, Anouschka Venter, runs a popular spa indulgent blog called “Pamper Me Now”. She has become somewhat of an icon in the spa field, as she is a self-proclaimed spa lover and often reviews every spa experience she has. Anouschka was lovely enough to review her Botox Treatment as performed by Doctor Pillay. 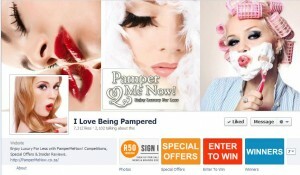 You can visit Anouscka’s blog at PamperMeNow.com or her Facebook Fan Page I Love Being Pampered. 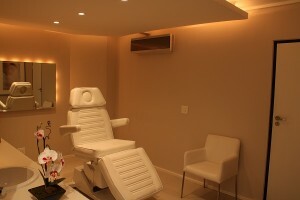 Last week I went to meet Dr Pillay from the Wembley Medi Spa to have my first Botox experience. I had won it on their Facebook page, and even though I have been curious about Botox, I probably would not have done it yet, had I not won this prize. The Wembley Spa is really beautifully and tastefully decorated, and heated throughout. The receptionist guided me to a waiting area where I filled in all my relevant details and read some information about botox and possible complications. I then had my face cleansed and the therapist applied numbing cream to the areas that I thought Dr Pillay might treat. I was keen to have my frown lines between my eyebrows sorted out as these made me look angry at times, according to my son. While waiting for the numbing cream to work, she offered me a head or hand massage – that is what I call above and beyond service – truly impressed. I must admit that I was very nervous to have Botox done, as I had never done it before, and you do hear some horror stories. I knew that I was in good hands, and the professional service and attention to detail, and the respect that the staff have for Dr Pillay, definitely all helped me relax into it. 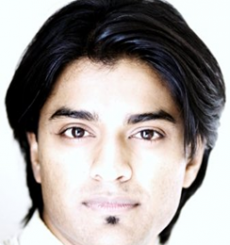 Dr Pillay is a very gentle (I’ve heard a few women add ‘good looking’) man ; ). He showed me various images of people that he had treated before and explained exactly what he had done to improve their appearance. What immediately struck me is that no-one looked like they had anything done. They all looked perfectly normal, just a better, younger version of themselves. Dr Pillay suggested that we focus on the lines around me eyes and to try and give me a bit of a brow lift, as my eyelids are starting to hang over my eyes. Eeeek, this surprised me, as I was expecting to focus on my frown lines, and made me nervous, as we had not put ANY numbing cream on this area. However, I can promise you here that it did not hurt at all. I’ve mentioned many times before that I am a true baby when it comes to pain, but this did not hurt. One injection out of 8 had a bit of a sting, but nothing I couldn’t handle and was over in a second. What I liked, is that he asked me to breath in, on the count of 3, and then he put pressure on the area where he was injecting, which distracted me from the actual injection. It was all over in a few minutes and my fears were unfounded. I appreciated that he took the time to answer all my questions and alleviate any fears I had. A common misconception is that Botox actually paralyzes the muscles in the face. In extreme layman terms, Botox blocks the message coming to the muscle telling it to contract. As your body breaks down the Botox (over 3-4 months or so), the message can reach the muscle again and so your frown lines or laugh lines come back. The longer you use Botox though, the less these muscles are used, and just as your muscles grow weaker when you stop going to the gym, so do these muscles get weaker. The effects are only evident about a week after treatment, so don’t expect immediate results. It has not stopped me from expressing myself but simply keeps me from making facial grimaces and frowns that have become habits and form frown lines. On the one hand I can hardly see the effects, but on the other I do notice that if I smile that I don’t have crow’s feet on the side of my eyes. They are not gone, just a lot less. “The stuff – you know”. I had to laugh as it’s still such a taboo subject that he didn’t want the people at the next table to hear the word “Botox”.